Anyone who has experienced vertigo knows the signs and symptoms. When you are in the course of a vertigo attack, there doesn’t seem to be anything worse than what you are experiencing, and relief can’t come fast enough. Vertigo brings on symptoms that require immediate relief. Essential oils have been shown to provide marked improvement when symptoms of vertigo arise. In this article, we will look at some of the causes and some of the solutions, using essential oils in the recovery. Vertigo strikes without a warning. Vertigo is caused by many diseases and disorders that predominately affect the inner ear, the vestibular nerve of the ear, or the brain. It is the feeling of being dizzy and it is medically considered to be a rotational dizziness. Vertigo is not an illness but is the symptom of an underlying ailment. Something in the body is imbalanced and it is affecting the inner ear or causing a brain disturbance. Since the inner ear controls stability and coordination, any number of conditions can quickly result in vertigo and debilitate you. Regardless of the cause, symptoms of vertigo are numerous. The medical research links vertigo to inner ear or brain inflammation. So, the most beneficial of essential oils will be those that are anti-inflammatory in their effect. However, other symptoms must be dealt with, as well. The following are the most familiar and/or medically supported. Everyone loves lists, so let’s start by listing some tremendous essential oils for vertigo. Melissa Officinalis – Sweet lemon flowery in subtle grassy and herbaceous scent. Best known for its therapeutic benefits for emotional stress. PURE & NATURAL ROSE ESSENTIAL OIL - Our Rose Oil is Therapeutic Grade, Completely Natural, and Undiluted! Lemon balm essential oil has been used for centuries in traditional medicine. Lemon balm has been recognized in relevant homeopathic medicine for the treatment of migraines, headaches, indigestion, nausea, nervousness, vertigo, fainting, light-headedness, fatigue, bronchitis, arrhythmias, insomnia, epilepsy, depression, psychosis, and hysteria. Over the last five years, there has been new and significant research done on lemon balm essential oil over the last five years that have given credibility for the use of lemon for vertigo and related symptoms. A 2014 research study(1) prescribed the effectiveness of lemon balm for symptoms including vertigo. A 2013 WebMD article(2) and a 2017 Healthline newsletter(3) summarized significant credible reports on the effectiveness of lemon balm essential oil for the treatment of numerous medical conditions that manifest through symptoms of vertigo and its related maladies. The report also reported its effectiveness in the treatment of dementia, Alzheimer’s, stress, insomnia, certain viruses, and stomach upset, all conditions that can lead to vertigo. The report suggests some evidence of lemon balm effectiveness (although recommending further study) in maladies of mental performance, restlessness, pain associated with mental illness, and spasms. A 2017 Health Line newsletter gave significant credibility to the effectiveness of lemon balm essential oil for the treatment of vertigo and related symptoms. How Does Lemon Balm Work Against Vertigo? Ginger essential oil is best known for its ability to combat nausea. Nausea almost always accompanies vertigo. It has immense anti-inflammatory, digestive, anesthetic, and expectorant properties. Ginger’s fragrance is gentle and stimulating. How Does Ginger Work Against Vertigo? Ginger essential oil is most notable for treating nausea due to its gentle digestive properties. However, its anti-inflammatory properties will reduce pressure in the inner ear and brain, where most of vertigo symptoms develop. Its anesthetic properties help to reduce pain and discomfort from the migraine and nausea. Ginger’s expectorant properties will improve respiratory health and blood flow to promote increased brain oxygen, which will reduce dizziness and vertigo. Internal: 1:1 ratio with carrier oil. Place under tongue or in capsule and take up to 3 times a day. External: 1:1 ratio with carrier oil and apply 2-4 drops on nape, chest, temples, behind ears, or at Vita Flex. Aromatics: Diffuse 6-8 drops of essential oil or rub 1-2 drops in palms and inhale. Cyprus essential oil is well-known for its effect on vertigo and has long been used as a natural antiviral remedy. The Greek word for cypress means “live forever”. As blood was believed to be the essence of life, cypress properties can increase blood flow. Its fragrance is calming and soothing. How Does Cypress Work Against Vertigo? Cypress essential oil positively improves respiration and blood flow that, in turn, increases oxygen to your brain. Impaired brain oxygen has been linked to dizziness and vertigo. Cypress discourages fluid retention in the body, which improves all symptoms of inflammation, including vertigo. Cypress also relieves coughs and congestion from colds, which can lead to respiratory distress and dizziness. Internal: Can be taken as a dietary supplement. External: 1: 1 ration with carrier oil and apply 2-4 drops on nape, chest, temples, or at Vita Flex, massaging toward center of the body. Aromatics: Diffuse 6-8 drops or apply 1-2 drops in palms and directly inhale. Clary sage seeds were historically used to treat, among other ailments, digestive disorders, women’s ailments, enhance the immune system, reduce inflammation, and reduce muscle spasms. It is very popular today as an essential oil for vertigo. Clary sage fragrance is known as a sedative, known to reduce stress and to promote nervous system balance. Internal: Take 1 drop daily as a dietary supplement. External: 1:1 ratio with carrier oil and apply on nape, crown, temples, or at Vita Flex points. Rub 6 to 8 drops on lower back for PMS symptoms. Diffuse: Diffuse 30 minutes 3 times daily or rub 1-2 drops in palms and inhale directly. Rosemary essential oil appeared in Hildegard’s Medicine, (early German medicine) in the 11th century. Rosemary has been burned since the ancients to ward off infection. Rosemary essential oil is known to have estrogen-like properties, which can affect hormonal imbalance and symptoms associated with PMS and menstrual symptoms, such as water-retention, fatigue, dizziness, vertigo, and migraines. It has an anesthetic property to relieve pain. It also has relaxant and anti-spasmodic medical properties that can reduce muscle tension, anxiety, and stress. It can ease insomnia, often associated with vertigo and hormonal imbalance, thereby relieving fatigue and headache. How Does Rosemary Work Against Vertigo? Rosemary essential oil has relevant medical properties that are anti-inflammatory, antibacterial, antidepressant, hypertension modulator, and enhancing mental clarity and concentration. Its fragrance can improve mental clarity and focus. A University of Miami research found that inhalation of the fragrance boosted attention, improved mental ability, and eased anxiety. The anti-inflammatory affects fluid build-up in the body that can reduce pressure in the inner ear and brain. For those suffering from the pressures of hypertension, it can relieve dizziness, migraines, and fatigue. Its mental clarity enhancements can relieve vertigo secondary to Alzheimer’s and other mental impairments and brain ailments. Internal: 1:4 ratio with carrier oil in a capsule can be taken internally. External: 1:1 ratio with carrier oil. Apply 2-4 drops on nape, crown of head, temples, or at Vita Flex points. Aromatics: Diffuse 6-9 drops or rub 2 drops into palms and directly inhale. Relevant Information: French hospitals used the essence of rosemary to disinfect the hospital air. Rose essential oil has a soft fragrance that, when inhaled, is acclaimed to reduce signs of vertigo and migraine, and supports relaxation. Its fragrance is intoxicating that can uplift, calm, and soothe the spirit. Rose essential oil works against hypertension, anxiety, and viral infections. How Does Rose Work Against Vertigo? 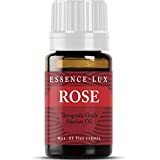 Rose essential oil has certain medical properties that are anti-inflammatory, antioxidant, anxiolytic, and relaxant. Internal: can be taken internally as a dietary supplement. External: Apply 2-4 drops on nape, crown of head, temples, or at Vita Flex points. Relevant Information: Dilution of rose oil is not required, except for sensitive skin. Tangerine’s aroma is said to promote calming and reduce anxiety and tension. A Mie University study found that citrus fragrances boosted the immune system and promoted relaxation. How Does Tangerine Work Against Vertigo? Tangerine essential oil has relevant properties as an antispasmodic, digestive aid, and relaxant. Its antispasmodic and relaxant properties will minimize tension against muscles and digestive nausea. The ability of tangerine to settle the digestive tract is important against nausea that often accompanies vertigo. Internally: 2 drops placed under the tongue up to three times daily. 2 drops in a capsule can be taken internally up to three times daily. Externally: 1:1 ratio of tangerine oil with carrier oil. Apply on nape, crown of head, temples, or at Vita Flex points. Relevant Information: tangerine essential may increase sun sensitivity. Frankincense has been touted throughout history as the essential oil that encompasses all healing. Its fragrance is believed to heighten spirituality and meditation. It can reduce vertigo from middle ear infections, anxiety attacks, and stress. Its first medical reference was in 16th century BC. Its vast worth to the ancients was centered in its ability to treat every illness. How Does Frankincense Work Against Vertigo? Among other medical properties, frankincense in analgesic, anti-inflammatory, immune boosting, and a muscle relaxant. The analgesic property of frankincense essential oil will act as a pain-killer. The anti-inflammatory property can reduce fluid pressure in the inner ear and nerve by reducing fluid build-up. It also can reduce middle ear infections, such as Menears. The muscle relaxant properties can reduce stress and anxiety of the muscles that can cause the migraine, headache and muscle spasms oftentimes associated with vertigo. Externally: 2 drops on nape, crown of head, temples, or at Vita Flex points. 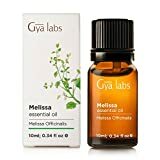 If you are plagued by vertigo, whether acutely or chronically, history and current research is giving credibility for the use of essential oils to minimize the symptoms and sufferings that go along with it.